Bali ATV Ride tour is a pleasure activity of cruising technical terrains across most beautiful Bali countryside on a 4-wheel 250 cc motorbike. 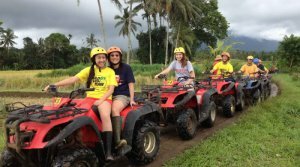 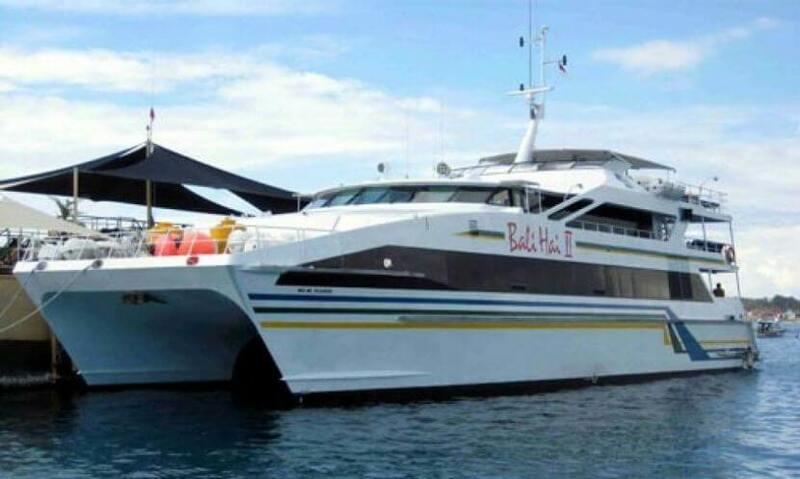 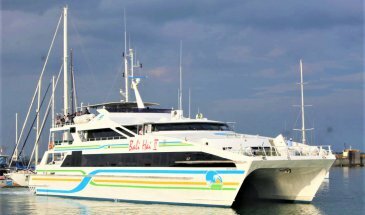 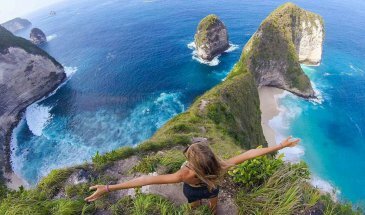 It is operated by our Brunch certified company in Ubud, which will provide you with the top safety gear, reliable guiding instructors that bag helpful information over some interesting places on the way Tour and other necessary requirements. 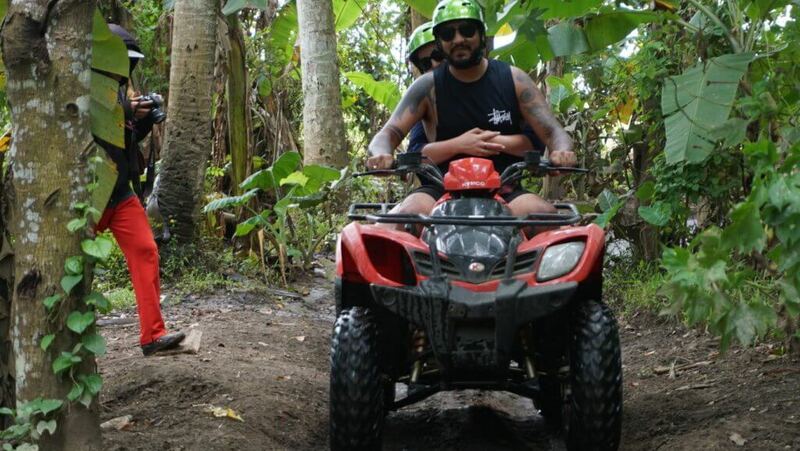 ATV ride tour going to be something different from what you can imagine of a regular excitement you could get as doing an Adventure vacation on the island of Bali because most of the distance you will travel leads you to many rural areas that feature green rice fields, small lush jungles, pretty hills, wide range of tropical plantations and a lot more, which can all fluctuate into an amazing feeling for every single participant as day goes on. You don’t need a valid driver’s license to operate an ATV. Children 6 years and older can share an ATV(Tandem Ride) with their parent or guardian but are not allowed to operate the ATV. 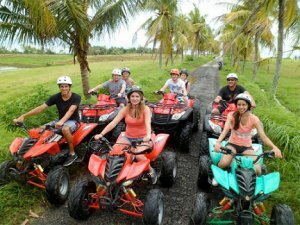 Why book Bali ATV Ride with us? 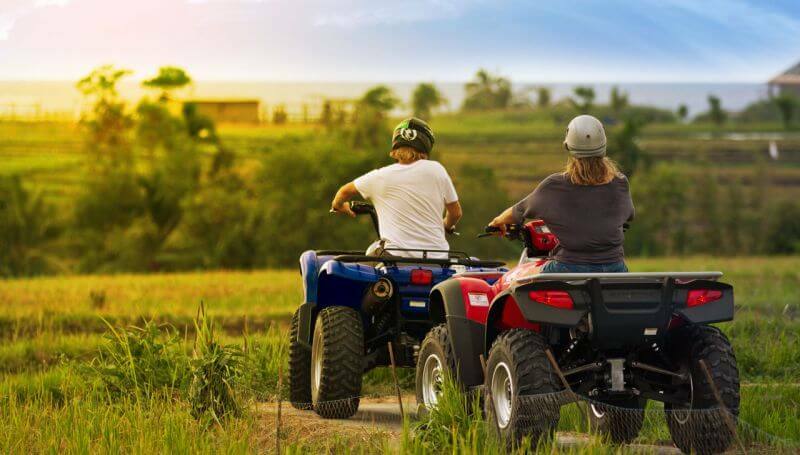 Booking with us is the most convenient way to create a holiday Adventure that you can be sure will suit you, without the big price tag.